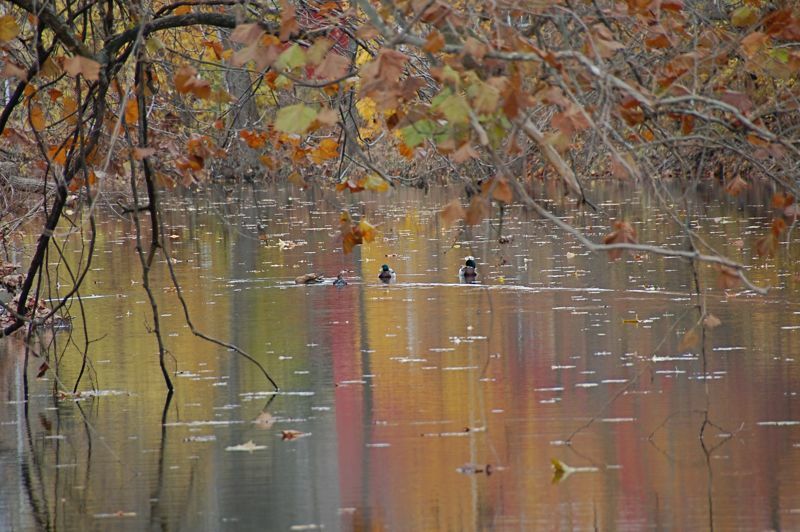 These ducks were enjoying a leisurely swim on the Unami Creek the other afternoon. I wish they had been a bit closer. There were four of them; three waited for the fourth to catch up before they swam away together. It was relaxing to watch them fade away into the autumn reflections on the water. Can I just say what a reduction to find somebody who really knows what theyre talking about on the internet. You definitely know how you can carry a difficulty to gentle and make it important. More individuals must learn this and understand this aspect of the story. I cant consider youre no more common because you undoubtedly have the gift. It impressed, I must say. Actually not often do I encounter a blog that? each educative and entertaining, and let me let you know, you have hit the nail on the head. Your idea is excellent; the issue is one thing that not sufficient individuals are talking intelligently about. I am very comfortable that I stumbled across this in my seek for one thing regarding this.